It is very important to have a good camera. Your pictures are your trophies. 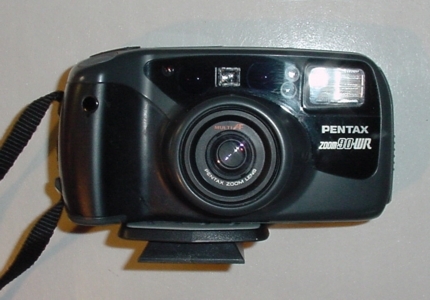 The camera I have used for the last eight years is this Pentax model - zoom90-WR. This camera is responsible for most of the pictures on this site. It is waterproof and has a date stamp. It has more features then I will ever use. One thing I wish was that it had a higher powered zoom as the 90 still isn't powerfull enough for most wildlife shots from the boat. Here is an idea for taking pictures while fishing alone. 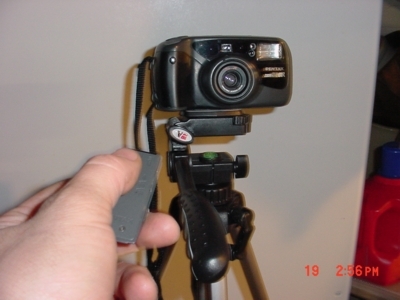 Put the camera on a tripod and use the remote to take the picture. This does take some practice though and I would suggest setting up the tripod to point in the right direction before catching the fish. It is also very important to carry an extra camera just in case something goes wrong with your primary one. 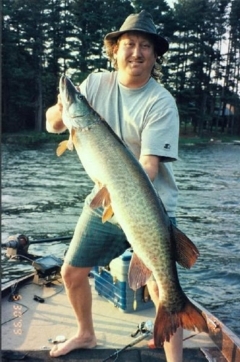 Fortunetly the one time I had a problem was while ice fishing when the batteries were weak and I only missed some nice pike pictures. 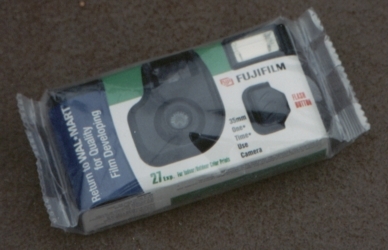 I now carry extra batteries, film and this disposable whenever I go fishing. You never know when you could save a buddy in another boats trip by borrowing him your diposable too. Remember to remove your sunglasses. I learned the hard way! Use a flash no matter how bright it is out. Make sure to get close or zoom in so that the fish fills most of the picture. 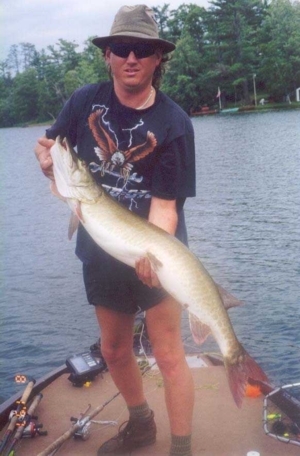 Make sure everyone in the boat knows how to use the camera before a fish is caught.